A few weeks ago, we received a note from a Canadian-based hemp seed researcher and breeder who is using a LightLab Cannabis Analyzer, with hemp compliance mode, for plant selection and optimization. We found his feedback to be immensely useful to our development team. We thought others may find value in his comments about how he uses LightLab and he compares LightLab to a laboratory. Below is his summary about his work and recommendations, which were left as unaltered as possible. John Baker, MSc, is a certified Professional Agrologist (P.Ag) and is the president of CBD Baker Inc. He is a CSGA recognized plant breeder and a Health Canada recognized hemp breeder/researcher. The Orange Photonics LightLab Cannabis Analyzer with the Hemp Compliance feature has been a real asset to help me screen my hemp material for CBD levels. I am using LightLab to obtain relative levels of Cannabinoids - one seed line vs the other(s) to let me know the best material that I should take forward in the breeding program. 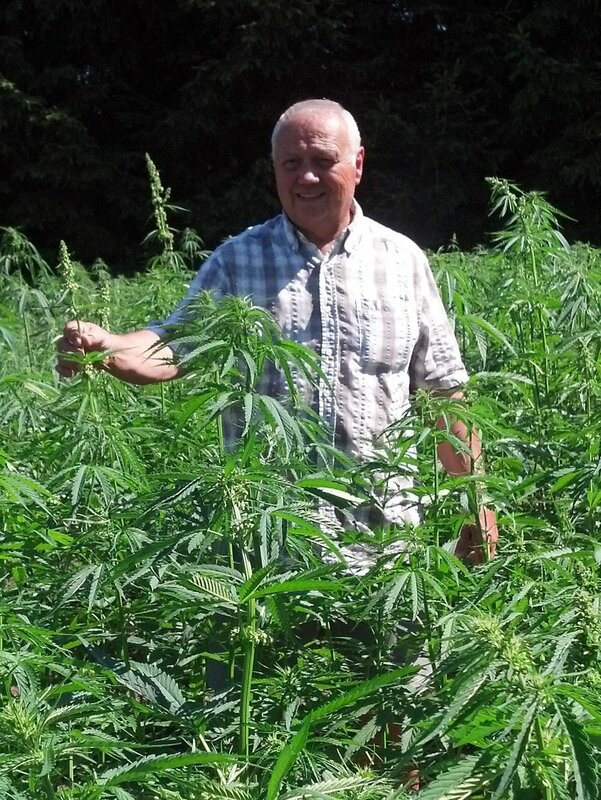 John Baker, MSc, P.Ag among his hemp plants. In 2016, I used RPC, New Brunswick’s research organization and government laboratory, to identify the superior genetic lines and then double check some of them to help confirm that the Orange Photonics instrument was likewise coming in close to the levels predicted by the RPC (GC-FID) results. I recognize that there is great variability sample-to-sample with all methods and all instruments. Therefore; if I am within 1% of the other instrument result for CBD, I am quite confident that the line has the chemistry I am looking for. In 2017, I did things in reverse. I screened the genetic selections in-house with Orange Photonics LightLab Cannabis Analyzer, identified the best lines, and then recently took four of the best lines and sent them out to third party testing, at RPC, for confirmation. Making sure you do not concentrate trichomes. Making sure you do not screen out trichomes. Making sure the sample is as representative of the bud material as possible. I have found that using a coffee grinder with several grams of material works best to ensure samples are homogenized and no trichomes are lost or concentrated. In conclusion, I am thrilled to be able to screen my genetics internally. I believe the CBD results by the Orange Photonics (OP) instrument, LightLab, are as accurate as the results from RPC. I am confident that I can use the OP instrument to guide my breeding program for high CBD in hemp. Older PostTesting for Truth Part 3: Does Sun Damage Cannabis?